Obituary for Barbara Plapp | Esterdahl Mortuary and Crematory, Ltd.
Barbara E. Plapp, 80, of Lynn Center, passed away Tuesday, September 4, 2018, at UnityPoint Health-Trinity Rock Island, surrounded by her family. Funeral services will be held at 11 a.m., Saturday, September 8, 2018, at Swedona Lutheran Church, 1493 Knoxville Rd., Lynn Center. Visitation will be from 4-7 p.m., Friday at Kirk, Huggins & Esterdahl Funeral home, Ltd., 1301-4th St., Orion. Burial will be at the German Cemetery, Sherrard. Memorials may be made to Swedona Lutheran Church or the Sherrard Fire Department. The family requests casual attire. Barbara was born on October 27, 1937, in Woodhull, the daughter of Benjamin and Ione (Frost) Bruner. She married Frederick Plapp on July 17, 1959, in Milan. Barbara was the owner and operator of Barb’s Beauty Shop in Coal Valley and later in her home. 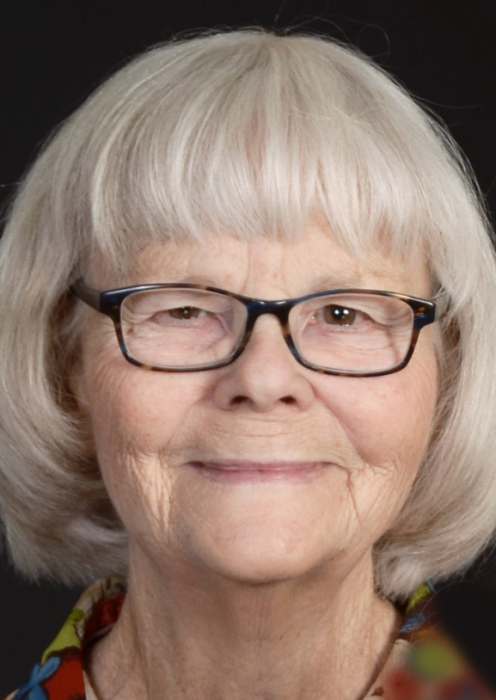 She was an active member of the Swedona Lutheran Church. She was involved with a quilting club in Bishop Hill, where she also sold Swedish wheat weaving. She loved to decorate and sell birthday and wedding cakes from her home. She was a true artist, especially with water colors. When she was younger she would sell her artwork at Left Bank and had various items of her work displayed in different galleries, including Chicago. She was devoted to her family and loved spending time with them. She enjoyed gathering with her fellow artists on Fridays. She enjoyed fishing and motorcycling with her husband. Survivors include her husband, Fred “Bud”; children, Karen (Ed) Zwicker, Litchfield, Judy (Chuck) McCoy, Rapids City, and Fred (Lisa) Plapp, Cable; grandchildren, Ryan, Tia, Jake, Hannah, and Caleb; great grandchildren, Ayva, Cameron, and Antigone; sisters, Nancy (Larry) Rhodenbaugh, Sherrard, and Kathy (Harvey) Robinson, Orion; brother, Doyne (Darlene) Bruner, Colorado Springs. She was preceded in death by her parents, step father, Lyle Fletcher; brother, Rollo Bruner; sisters, Beverly Bruner and Jan “Tootsie” Tollerud.